In this inside look at the fundamentals of baseball, author and veteran sports writer Steven Krasner asks some of the greatest ball players to ever play in the major leagues to explain the strategies and thought processes behind their winning ways. 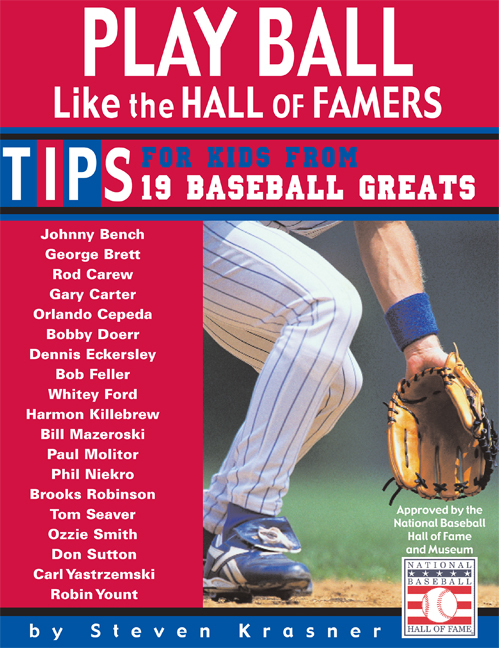 Each chapter includes an in-depth interview with the athlete, a glossary of baseball terms, anecdotes from the player’s career and memories from his youth, as well as advice for getting and maintaining a mental edge during the game. Approved by the National Baseball Hall of Fame and Museum!